This post was originally published on BuzzStream and is republished here with permission. Clearlink partners with the world’s leading brands to increase their reach and build brand awareness. We specialize in leveraging digital marketing to connect consumers with the services they need at the moment they need them. Over the past several years, Clearlink has invested more resources into our digital marketing efforts, which have made a significant impact on our business—specifically when used in the development and execution of SEO strategy, strategic content creation, and outreach. We put an emphasis on discovering, building, and maintaining genuine online relationships on behalf of all of our brands, something that is hard to do at the rate we’re growing and innovating. Now, using a few tricks and tips, we are able to scale our content marketing without sacrificing the authenticity of our relationships. Clearlink has identified four digital PR and outreach techniques to develop relationships and identify strong partnership opportunities in an innovative way. If you want to develop relationships and identify strong partnership opportunities in an innovative way, here are four tips that can help. Online efforts frequently transfer offline, and we love when that happens. With the help of platforms like BuzzStream, our offline outreach opportunities have increased tenfold. We are able to make our content relevant and meaningful to a number of communities across the country, both online and offline. Not only are we meeting our SEO and outreach goals, but we’re also making an impact on the people we’re connecting with. That’s hard thing to do at scale, at least in a way that is genuine, but doing so is important to us. 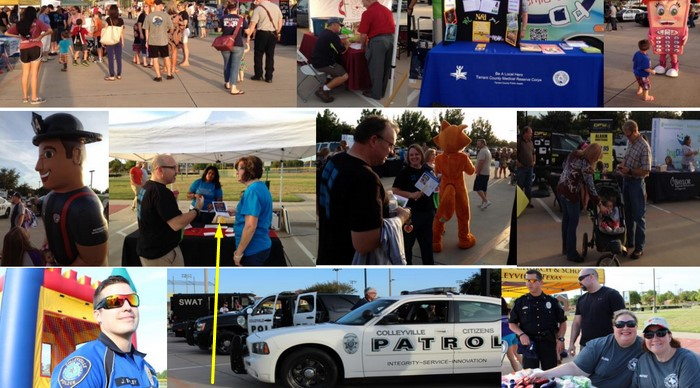 Colleyville, Texas, National Night Out. In one of the best examples of online moving offline, community leaders in Colleyville printed out flyers and shared their recognition for commitment to improving resident safety with the community at their annual National Night Out. Look for ways to create content that is shareable both online and offline. For example, we now design and present winning communities with printable certificates that they can display in their offices. This is something that, five years ago, we would have considered counterintuitive to our digital marketing goals. We quickly learned, however, that we were putting entirely too much focus on the online benefits of content creation and its corresponding digital coverage. Given the audience of this particular campaign, we knew it was important to give the city leaders something to share in the real world, where the recognition (as well as the brand) would be seen and appreciated in their place of work every single day—not just when someone visited their website. After years of creating content with a limited lifespan, we realized we were failing to consider the whole life cycle of what we were producing. Although our work was high quality and relevant, it became apparent that we needed to pivot toward a content creation model that would make an impact on people and their communities over time. At Clearlink, we do this by creating real value with our content and turning what was once referred to as “ego-bait” into a genuine community-recognition platform. Ego-bait is transparent. Create content that makes a difference–something that is meaningful to the people for whom you created it. First, we find people who play a pivotal role in multiple communities across various cities, towns, and states—like police officers, firefighters, mayors, and city council members. We work to understand their goals and hopes for the community, and then create something tangible that recognizes their performance in achieving those goals. For example, we might call out various individuals’ commitment to green living, public safety, or community service. 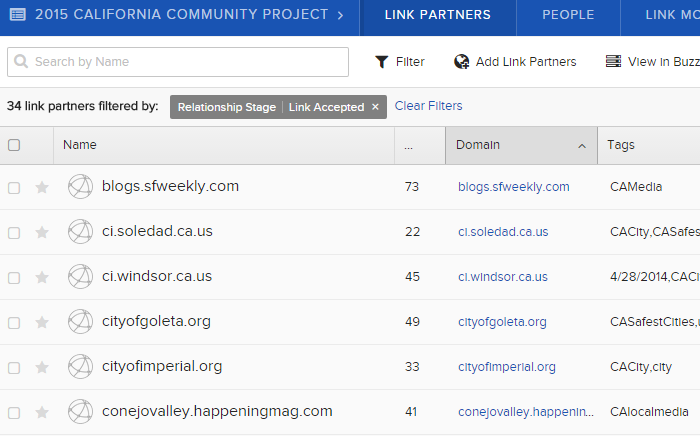 We organize our lists of contacts by tagging each connection as national news, local news, city website, local blog, etc. Next, we create segmented lists of people that will care about this recognition, like city residents, local newspapers, personal and local blogs, and local national media outlets. Pride fuels the content’s potential for success and virality. It’s an emotion that can be hard for marketers to instill but is a powerful motivator. The key here is value and authenticity. Ego-bait is transparent. Create content that makes a difference—something that is meaningful to the people for whom you created it. And don’t stop there! Keep going and you’ll have yourself a sustainable, offline, online, brand-building, community-empowering, media-magnet of a marketing campaign that matters. Part of building trust with the community is remaining consistent and dependable. When recognizing members of a community for their work (across different cities, counties, and states), we’ve learned that surrounding communities strive for improvement with the hopes of earning your brand’s acknowledgement and recognition in years to come. In that way, communities literally hold us accountable and expect that we will deliver more content! Isn’t that what every content marketer hopes for? People anticipating and wanting more of your content because it means something? We’ve now built a community of loyal (and often proud and competitive) brand followers across multiple online and offline communities nationwide. We’re able to manage these valuable relationships by utilizing the history feature in BuzzStream and creating separate folders and projects dedicated to each location, industry, and brand associated with its corresponding community project. 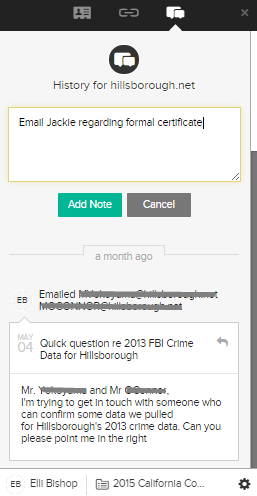 BuzzStream’s History feature can help you understand the timeline of communication with a website. You can write yourself notes and reminders, see how many times your teams have made contact, what’s been said, the response, and whether or not there’s interest in working with you. We organize contact info for news and media, bloggers, government officials, and influencers in order to create customized email templates that allow us to connect with everyone in a unique, genuine way. When we go to replicate the process in the following years, we have our contacts and communication with each person stored in one place. Focusing on valuable content has served as a catalyst for our content promotion processes. What’s more, it’s revolutionizing our content marketing initiatives by helping turn traditional outreach, SEO, and link-building into a strong business development vertical. This is the future of outreach and digital PR. Big brands with a strong digital presence have achieved success by showing a vested interest in people and communities, both online and offline. The ability to creatively outreach en masse opens up that same opportunity for all websites and brands, especially startups. It allows us to connect more and often, without the risk of appearing impersonal or robotic. From earning press coverage, brand awareness, links, and qualified referral traffic, the potential of outreach to affect a business’s success is huge. Outreach professionals are scanning the internet all day for potential partners and influential people, putting our brands and their messages in front of the right people, and learning what makes major publishers and influencers tick. We communicate constantly with companies, blogs, municipalities, and thought leaders who, a year from now, may represent huge business opportunities. From earning press coverage, brand awareness, links, and qualified referral traffic, the potential of outreach to affect your business’s success is huge. What starts as a content-sharing partnership, where we contribute industry knowledge to their blog bimonthly, could develop into an unexpected business venture down the line. We are the ones who build the trust from the ground up. With a dedicated focus on relationship management we’ve been able to scale, keep track of, maintain, and grow those relationships year after year—and so can you. Want to learn more about our approach to digital PR? We’d love to chat. As director of outreach and digital PR at Clearlink, Elli Bishop leads a team of 20+ digital marketers and designs and executes SEO strategy, strategic content creation, and digital PR for Fortune 100 brands. With more than 7 years of experience in digital marketing and extensive experience growing sites from launch to top rankings in competitive industries, Elli has built Clearlink’s digital PR team from the ground up.